The band performance times, list of festival experiences, and Northern Invasion Good Eats have been announced for the third annual Northern Invasion, Saturday, May 13 and Sunday, May 14 at Somerset Amphitheater in Somerset, WI. Northern Invasion will host the biggest rock bands for over twelve hours each day on three stages, and offers a top tier campground experience. Soundgarden and Kid Rock will headline Northern Invasion 2017, which will also feature Godsmack, The Offspring, Bush, Papa Roach, Alter Bridge, The Pretty Reckless, Amon Amarth, Opeth and more. 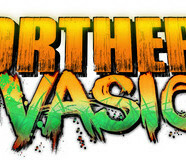 For all details and to purchase tickets, visit: www.NorthernInvasion.com. Northern Invasion Good Eats will feature food offerings from top regional and national restaurants and vendors. The general admission Good Eats include: Pele’s Wood Fired Pizza, BBQ Cabin, Ben’s Burrito Bowl, Big Cheesy, Best Way Greek, Hebros Kitchen, Jammin Concessions, O’Neil’s Amusements, Island Noodles, Classic Home Cookin, Chicken On A Stick, Mount Olympus, Burger Factory, Tube Steak Boogie, Bubba’s Fried Chicken, Burger Meister Truck, and Apple River Kettle Corn. Northern Invasion’s VIP Good Eats will include: Cantina Ole, Sacrilicious, and Pie Baby. Monster Energy: Stop by the Monster viewing deck to refuel and meet some of your favorite Northern Invasion artists! Make sure to check back throughout the festival for a signing schedule. Most companies spend their money on ad agencies, TV commercials, radio spots and billboards to tell you how good their products are. At Monster Energy, we chose none of the above. Instead we support the scene, our bands, our athletes and our fans. We back athletes so they can make a career out of their passion. We promote concert tours, so our favorite bands can visit your hometown. We celebrate with our fans and riders by throwing parties and making the coolest events we can think of a reality. Zippo: Zippo Encore will be back in action at Northern Invasion and they can be your ticket to see intimate, acoustic performances by some of your favorite bands at Zippo Sessions taking place in a secret location throughout the weekend. Visit the Zippo Encore area for details and check out their full stock of Zippo lighters, including the limited edition festival designs! Come by and spin their wheel for great prizes, enter their Zippo Custom art contest, and get your Zippo lighter filled for free. FYE: FYE is the ONLY place to score your favorite Invasion artists’ albums at the festival. We will also be hosting artist signings all weekend long along with our record label partners Razor & Tie and Century Media. Follow us on Facebook and Instagram for the latest signing schedules. See ya in Somerset! St. Croix: St. Croix Casinos offer live entertainment; Vegas style live roulette, poker, and craps. Click here www.stcroixcasino.com to see what’s new in Turtle Lake, Danbury, and Hertel. As you’re rocking out at Northern Invasion, make sure to stop by the St. Croix Casinos tent for games, refreshments, and your chance to win prizes! Where will the Turtle Surprise you?! Single day and weekend tickets, as well as hotel, camping and VIP packages for Northern Invasion are available for purchase now. Available camping packages (RV and tent options for 3 nights) include Groupie, Roadie, Star, and Ultimate Package at Float Rite Park. Hotel packages offered for 3 nights are: Bronze, Silver, Gold, and Platinum. All camping and hotel packages include a $25 festival merchandise voucher for each person. For details on each package, visit: www.NorthernInvasion.com.